WOW! A Lindewoods bungalow. A rare find & modernized to boot! On one of the most mature and sought after streets in the entire area. Only 5 doors away from a massive park and dual track school. Low traffic. The yard is a huge, pie-shaped lot with mature trees and sunny back deck. A great place for kids to safely play or head to the park 5 minutes away. This one has a cozy family room housing a gas fireplace with a lovely stonework face. The gorgeous, open kitchen was recently completed with new fixtures and counters. 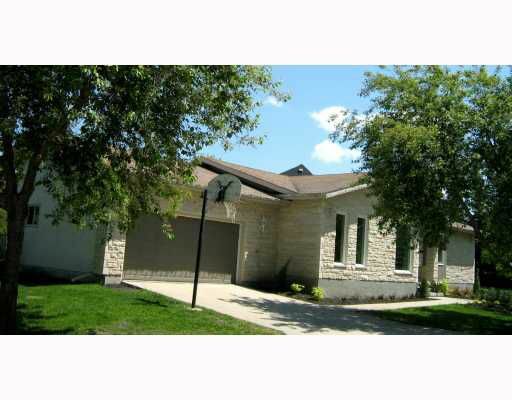 Large bedrooms with master ensuite bath & walk-in closet. 3 bathrooms total. Large, open unspoilt basement. Living room/dining room area boasts vaulted ceilings and newer hardwood floors(06). Newer windows & carpets(08). Handy mudroom off the the two-door garage and back yard door. Fenced in dog run. This house is a winner! If this one gets away you may be waiting forever for another one like it! Showings on now.